“Space Precinct” is the sixteenth and final episode of The Starlost (1973 – 1974), and entry that seems like it belongs in another TV series all together. 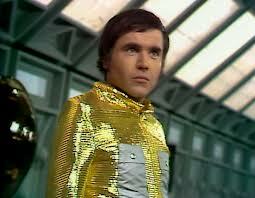 The episode commences as Garth (Robin Ward) decides he wants to return home to Cypress Corners. He’s tired of following Devon around from dome to dome, and achieving nothing. He says a fond farewell to his friends, and then is quickly intercepted by the Intra-Ark Police Force, led by Chief Rathe (Ivor Barry). 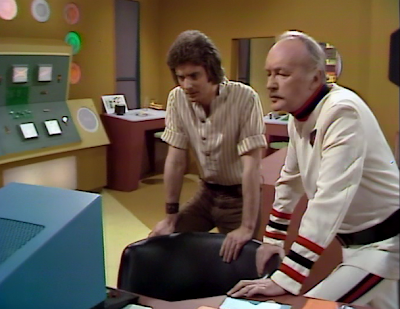 Rathe takes Garth to his parked cruiser, and promises to train him as a detective. This training will come in handy, Rathe insists, because he and his team are leaving the Ark permanently. Rathe wants to link his expert investigative abilities with the crew of a space platform in a nearby solar system. There humanoid aliens, led by Reena (Nuala Fitzgerald) are worried that various factions are plotting a war over rare mineral rights. Rathe could help, he believes. While Devon (Keir Dullea) and Rachel (Gay Rowan) become trapped in a space elevator without oxygen, Garth must solve a mystery of his own. Someone is blocking Rathe’s cruiser from taking off, and the window for launch is closing. Is the culprit Reena, or Rathe’s faithful assistant, Tek (Diane Dewey)? Watching this episode, one must wonder if there were plans afoot to spin Robin Ward’s character Garth off in his own science fiction series, one involving the space police. I can certainly understand that temptation. Garth is the most likable of the characters on The Starlost. And finally, the space police milieu would provide his character the skill-set training so often missing from the series. Too often, the characters (from an Amish community, remember…) exhibit technical-know-how beyond reason and sense. Training in the space precinct would at least rectify that error. Still, this is an ignominious ending for The Starlost. Devon and Rachel spend the whole hour either choking in their space suits or unconscious in that airlock. It’s a sad end point for Devon, who started out as a fascinating and intriguing character, but ends having accomplished absolutely nothing. Similarly, the series once again fails to explain why qualified individuals -- police personnel and their space pilots -- refuse to help the Ark avoid its collision course with the Class G solar star. This episode is actually worse than most in that particular regard. The police are actually abandoning their post on the ark, to go join an alien solar system! Wouldn’t you love to see your well-trained, tax-supported law enforcement officials just pack up and leave in the middle of a life-and-death crisis? 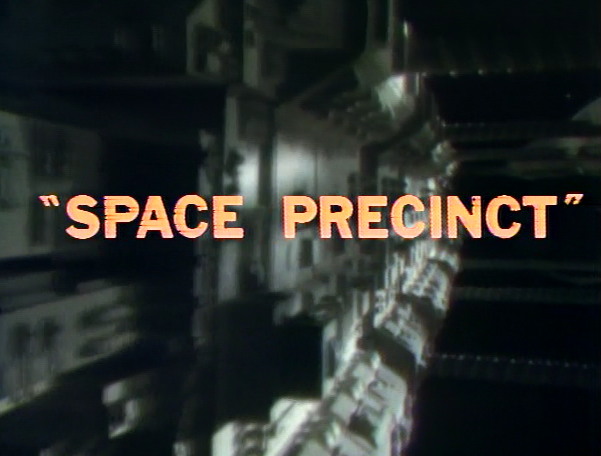 “Space Precinct,” and thus The Starlost end on a mild cliffhanger. Garth is asked to stay with the precinct and train for a year (before leaving the Ark for that solar system), and he says he’ll think about it. So The Starlost comes to an end, and so does this cult-blogging retrospective. I’ll confess: watching the series was sometimes a chore. I often fell asleep in episodes and then had to start over. But I am a huge fan of 1970s science fiction television, and I really wanted to get through all The Starlost episodes, and see it all for myself. I have read too often that it is the worst series of all time, and I just had to know, according to my own aesthetic criteria, how the series compared to others. 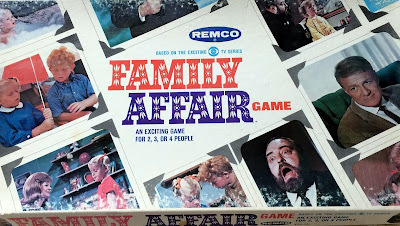 Contrarily, some folks may try to cover-up the series’ abundant flaws in the glow of nostalgia, but in the end that policy of censorship serves no one and no particular purpose. The fact of the matter is that the series is extremely flawed in terms of execution. I suppose I consider The Starlost a a needlessly squandered opportunity. The series premise is actually one of the very best in cult-tv history. The idea of several populations, separated and trapped unknowingly, on a starship, is one worthy of more consistent and intelligent exploration. The focus of the overall story could have been on bridging the gulf between cultures and trying to find common ground upon which to avert disaster. The Ark should have been a microcosm for Earth based on the idea that we all have to come together despite different religions and beliefs for the common good of the planet. We can only avert disaster by pooling our resources and working together. Of all the civilizations of the week, I enjoyed the visit to “The Implant People” the most, partly because o Donnelly Rhodes’ great performance. 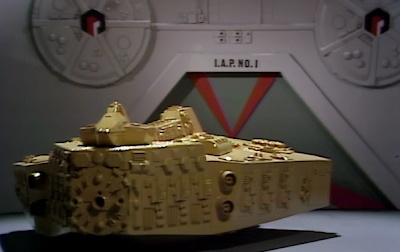 And in terms of episodes about the Earth Ship Ark’s inner workings, I admired the audacity and nuttiness of “Circuit of Death,” which saw Devon and a scientist miniaturized so as to conduct repairs on a damaged computer chip. There are great visuals there of miniature people walking on giant circuit boards, while regular-sized people (gazing through a window) watch with anxiety. But some episodes were just tremendously baffling. Too often, Garth, Devon and Rachel happened upon a dome with just one or two denizens, denizens who had murky and inconsistent backgrounds. In “And Only Man is Vile,” “Farthing’s Comet” and “The Beehive” we had to wonder how skilled scientists had been trained in Ark systems and technology some four hundred years after the devastating accident that plunged the vessel into a New Dark Ages. Similarly, episodes such as “The Astro-Medics,” and “Space Precinct” suggested a functional modern Ark hierarchy where certainly there should have been nothing of the sort. And if there were functioning emergency medical services and police officers on the Ark, why weren’t they helping to restore order, or unify the ship, or most importantly, avert the deadly collision? In terms of the lead characters, why wouldn’t Devon, Garth or Rachel ask for a ride back to the facilities that had trained the medics and police, in hopes of honing their own skills to save the Ark? It’s very easy to mock The Starlost because of the bad chroma-key effects, but in large part the effects didn’t bother me, or strike me as a considerable problem. If better stories had been vetted, nobody would have complained about the cheap backdrops or dopey-looking miniatures, in my opinion. After all, classic Doctor Who features plenty of atrocious special effects and costumes, but the series’ holds up because the writing was often so strong, and the concepts so powerfully vetted. Next week, I begin blogging a different series on Sundays: Star Blazers (1979). John thank you for reviewing each episode of STARLOST. I watched this as a young boy in 1973-74 and enjoyed your analysis. I agree, STARLOST lacked good scripts with established continuity. Surprised that with the recent boom in genre TV, someone hasn't said "Hey, let's revive Starlost and give it a fair shake." This episode went so far beyond the original concept, I was actually angry while watching it. 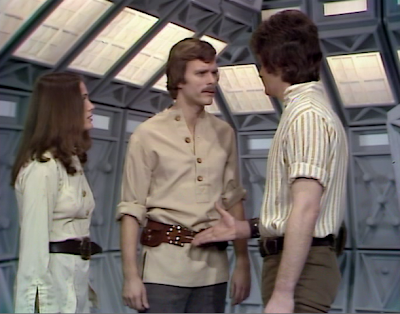 I suspect that once Harlan Ellison walked away from the project, the story editor decided to push the show in a direction he was more comfortable with. It seems they much preferred the idea of a functioning ark rather than a drifting one with a long dead crew. Trouble was, you couldn't make such a sharp turn so soon after establishing the original premise. The other missed opportunity with this story was that they didn't have this Federation of Planets take the ark into orbit around one of their planets and integrate the inhabitants into their society. That way, they could've truly gone in a new direction. The implication, however, was that the Federation was merely using the ark police for a diplomatic mission and they were going to let the ark go on its merry way afterward. Why help them if they were going to be so selfish? A sad end to a show that had so much potential. Probably the best observations on the series I've seen anywhere. The series suffers a notorious reputation. Everytime the question of what's the worst sci-fi series comes up, this series is mentioned. Many of those who claim it as the worst have never even seen it. Having such an outspoken critic as Harlan Ellison is probably the main reason. He knows better than anyone. He knew Star Trek's characters better than the show's story editor. 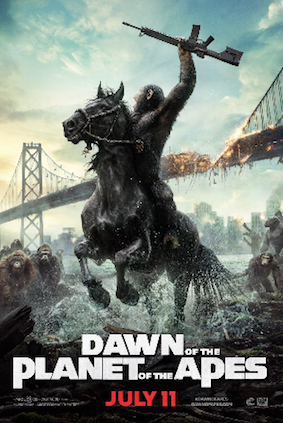 His concept for a "Land of the Lost" type show was better than David Gerrold's. He didn't invent the idea of a generational spaceship. The idea had been around in sci-fi literature for decades. Even a Star Trek ep featured such a ship ("For the World is Hollow and I Have Touched the Sky"). He could have been more sympathetic to the production and budget constraints of the show. 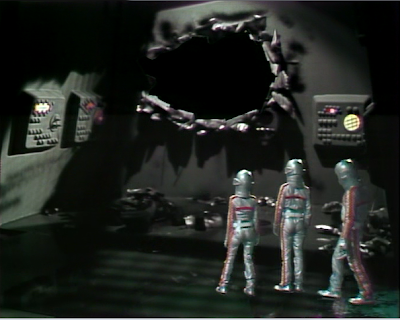 The Doctor Who shows made around the same time were cheap and used chroma-key effects. They also had the benefit of years of backstory and experienced production personel. The Pertwee eps I've watched recently ("Spearhead From Space" ,"Claws of Axos") are better than I expected. 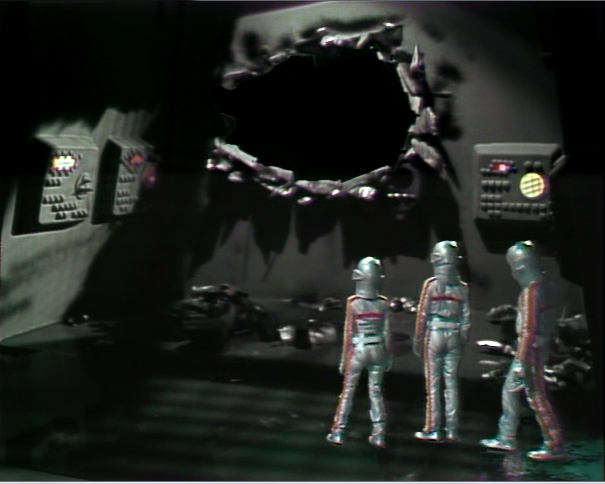 One Pertwee 'Dalek' ep has even been spectacularly improved with new CGI effects and newly filmed battle scenes. "The StarLost" would benefit from new effects, but it probably wouldn't make that much difference. 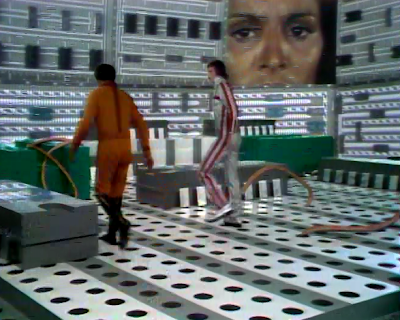 A few times, some more dynamic chroma-key effects were attempted, such as in "The Beehive". It's a shame that a more experienced effects person didn't handle the effects. Brian Johnson could have done wonders with that impressive Ark model...just look at his work in the Space:1999 ep "Mission of the Darians". 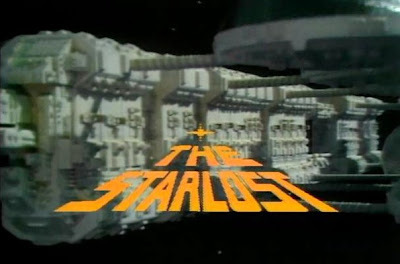 That ep is a rather blatant rip off of the StarLost, so the show did have some influence. A good influence too. 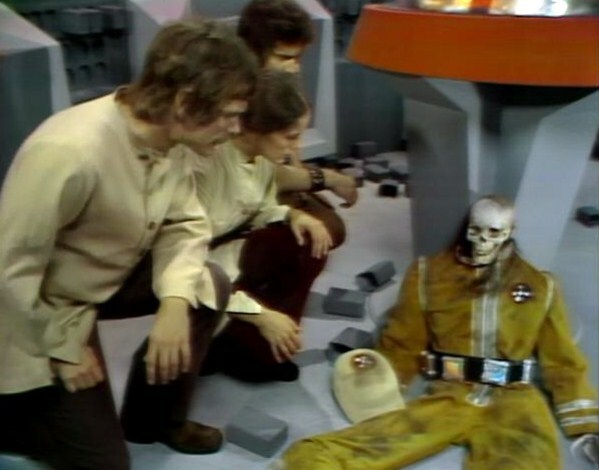 "Mission of the Darians" is one of the best episodes of Space:1999. I rather enjoyed getting to finally see the show on DVD. Even if only out of curiousity. You're write up actually makes me want to leave work early and watch it from start to finish. However I have beef with: "“Worst ever” ...star hunter". Why does everyone hate star hunter? It was a good little show. It tried so hard. It should get an A for effort. Plus the stories were entertaining. It just didn't end very well. (And don't say "the best part about the show was that it ended."). :) seriously though great write up. I enjoy reading all of your reviews. Keep up the great work. I agree with this review of the series, which I have just finished watching, and I sometimes wondered why I bothered, given how slow it was and how inconsistent its concept. I suppose I did so for the sake of completeness, knowing I only had a season to watch, and also because of the excellent original concept, and the charming design with all its hexagons.